Martha Centeno , a teacher at Mi Escuelita Preschool leads her students in a song. 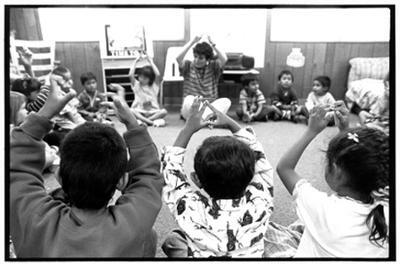 Mi Escuelita is a state preschool and adult ed parent participation preschool in San Juan Batista, part of the Aromas/San Juan Unified School District. Most of the students come from the families of farm workers.